After the campaign against the Picts, which the members of the Round Table called Cat Coit Celidon, Gerraint got bored. It turned to spring, in the year 505, and Arthur brought Gwynyvar to Cadbury to frolic. That was what Gerraint called it. They were frolicking among the flowers and giggling. Gerraint was not a fan of giggling. Arthur seemed determined to please Gwynyvar in whatever way he could. Guilt, Gerraint thought, especially when Gwenhwyfach produced a son she named Medrawt. The boy looked dark, nothing like his blond locked father, but Loth shrugged it off as some Welsh flaw and set about raising the boy in the ways of the north. Gerraint, on horseback, watched a particularly annoying frolic. 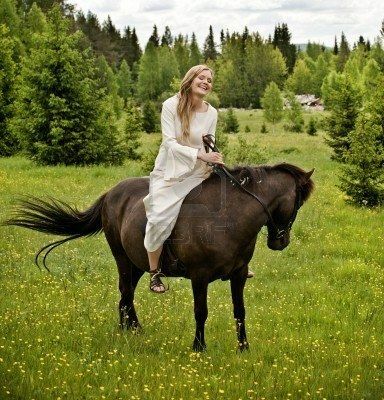 Uwaine, now a young man near eighteen, sat faithfully silent beside him when Gwynyvar, astride a spritely bay, popped out of the nearby woods with several ladies, their horses prancing, or as Gerraint thought, making pirouettes around her. Gwynyvar laughed and smiled and looked very happy. “With a good will, and I wish you Godspeed,” Gwynyvar said, and directed her ladies to where they could frolic in closer quarters with the men. Gerraint turned up his nose as he turned his horse and Uwaine voiced a thought. “Morgana might be there,” Uwaine pointed out. The south Welsh coast, though so close to Caerleon, remained one of the places Arthur never visited. In those early days, the people of the coast were constantly fighting off pirates of one sort or another, and Arthur kept saying he did not know what to do about pirates, and he had no ships. Since gaining some very good ships and some quality sailors under Thomas of Dorset, Arthur never considered the coast. The people of the coast were kind and appreciative of all they said Arthur had done for them, especially in destroying Hueil, the Saxon terror. Gerraint assured them that he was only visiting the coast to see to their welfare and he had no interest in taxes. After the third village, though, he decided to take a page from Meryddin’s book. “Don’t tell them who I am. My name is Goreu and don’t call me sir. We are a couple of warriors returning from the wars, that’s all. And whatever you do, don’t mention the Round Table.” Uwaine understood, not that he was likely to talk to anyone unless spoken to. The pair traveled in this manner for a time, and spoke as little as possible about the wars. People especially wanted to hear about the end of the Saxon and Pictish pirates who had plagued them for so many years. Here, Gerraint first heard about Heingest, son of Hueil, and how he married an Angle Princess and they had a son named Octa. They sounded as bad and dangerous as it could get, especially Octa being perhaps in a position to unite the Angles and Saxons. That would be especially bad. But that went in the back of Gerraint’s mind for later. Presently, he enjoyed the ale and the hospitality, and inevitably found some men who fought for Arthur, some of whom knew who he was, but were willing to keep his secret. It got late one afternoon when Gerraint and Uwaine topped a rise and spotted a rundown manor house beside the crude road. They found a half-dozen men there who looked like soldiers, rousting out an old man and an old woman. 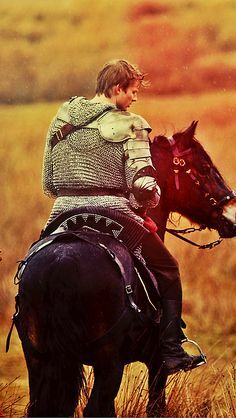 They saw a young woman on horseback commanding the men, and a little person on a horse too large for him whose occupation seemed to be to echo the woman’s commands, with a few choice swear words added. “They were simply doing what they were told, as all good soldiers should.” The woman on horseback spoke sharply. “And may I ask the Lady’s name that she sees fit to order men around?” Gerraint snapped right back as he sheathed Salvation. The little man spoke up. “Filth! You are not worthy to address the Lady.” He had a whip and let it fly, but Gerraint caught it with his arm and yanked it from the little person’s grasp.